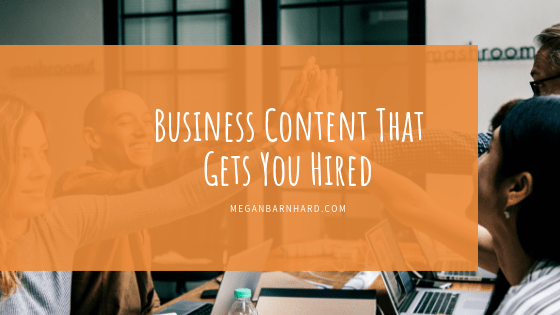 How do you write content for your business that gets you hired by customers? The good news is you don’t need to bust out the infomercial voice and tell people about the bells and whistles of your product or service. In fact, the best thing you can do to make sales isn’t to persuade customers. It’s to show them–and allow them to feel the power of working with you. What if you could show your ideal client what her life would be like after working with you? It would mean you wouldn’t have to convince her that it was a good idea to hire you. You’d simply describe the outcomes she would get, and she would convince herself! 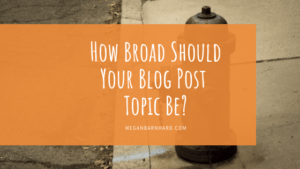 Sound like the kind of business content you’ve been looking for? Words that jump off the page and make customers eager to click, schedule, and pay you? 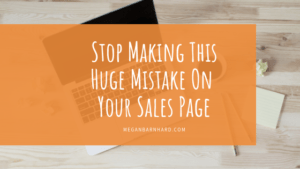 Here are the three golden rules of what to include on your sales pages, in your marketing emails, and in your blog posts so that customers want to hire you. Show your potential customer what she could experience from working with you. Focus on the state of mind and the emotions that go along with releasing the things that have been holding her back. Instead of trying to do All.The.Things for her business, she’ll enjoy the feeling of focusing on her zone of genius and delegating tasks to others. The relief she’ll feel at letting go of having to write when she knows it’s not her strong suit will take a huge weight off of her shoulders. It will be so freeing and empowering to let go of the details and instead focus on the big picture of her business — the way a CEO should. She’ll find she’s planning farther out and setting bolder goals, not to mention serving clients more effectively and growing as an entrepreneur, all because she’s stepping into her confidence and her competence. Describe all the cool things she can do — the actions she can take and the goals she can achieve. Create a specific and detailed scene of the activity your ideal customer will jump into once you’ve helped her solve her big problem. Think about cause and effect and how one small change can lead to many others. 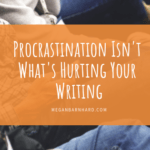 Instead of struggling each month for hours and hours to crank out a blog post that no one clicks on, she’ll spend one hour once a month on all her blog posts. That means she’ll gain more time. She’ll actually have time for that afternoon walk. Which means she’ll start sleeping better. And then holy moly, she’ll find she’s more at ease, less stressed, and enjoying time with her children instead of constantly fighting with them! Paint a picture of all the cool stuff (material and otherwise) that your customer can have if she works with you. Will she have more time? More money? Those are the two biggest things that everyone says they don’t have enough of. If you’re a productivity specialist or a financial adviser, it’s easy to promise those things. But what if you’re not? Can you still promise these hot items? Very likely, yes. You just have to connect the dots a bit more. 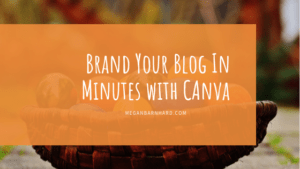 Since she doesn’t have to spend all those hours each week on blog posts, she has more time to work with clients. She can expand her available hours, take on more clients, and make more money. But in addition, because she’s handing her blog over to a professional, more people are finding her website for free via Google searches. That means she’s saving advertising dollars. And once those clients read her friendly, knowledgeable posts, they’re starting to know, like, and trust her. That means they’re excited to buy! She’s able to offer higher-priced products and services that more people buy, plus she spends less time on sales consultations because her website copy is really on point. But it doesn’t have to. There are plenty of other things people desire besides time and money. Do any of these sound like your customers’ desires? See something that applies to your audience? Great! Take it and run with it. Don’t? Just fine. Make your own brainstorm! Search through your customer language. See what your audience is struggling with and what your ideal clients want to achieve. Now you’ve got a great picture of what your ideal customer can do, be, and have. You’ve shown her how amazing life will be when she follows your advice. She doesn’t have to take your word for it because she can see it! As she’s reading / listening to your words, she’s visualizing how wonderful her future will be. She’s living vicariously through the imaginary character you’ve created in your copy. And brain science tells us that our little neurons don’t distinguish between what we witness in stories and what’s real in our own lives. When you paint the right picture for your ideal customer, her own emotions will spur her into action. 👉 Click to share that! It’s not an accident that “emotion” has “motion” in it; our emotions are what make us get up and do something! 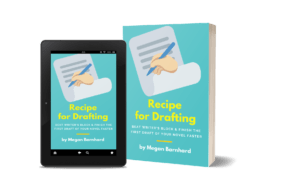 Creating Do, Be, Have paragraphs — or sentences — about your ideal client is the most powerful kind of business content you can write. 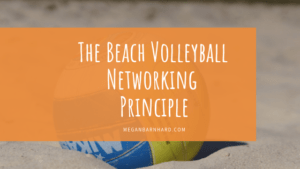 It’s content that connects at the deepest level and makes people feel seen, heard, and LOVED. So get to it! Go make a brainstorm or two and then try out your own Do, Be, Have exercise for your business. Then share it below! 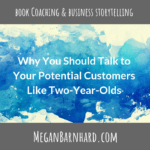 I’d love to hear what you come up with and offer feedback about how you can make sure you’re tapping into your ideal client’s emotions so she gets excited about working with you. Need help figuring out what language would connect with your ideal customers? Let me help you with a Customer Language Brainstorm Session. We’ll peak inside the minds and hearts of your audience so you know exactly how to get them excited to hire you.